Quebec Finance Minister Carlos Leitão was the guest speaker at a reception hosted by D’Arcy McGee MNA David Birnbaum earlier this week. The event, a Liberal Party gathering, was held at Ecole de la Mosaique on McMurray Ave in Cote Saint-Luc. For decades the building housed the PSBGM’s Westminster School. A new, government funded wing was the locale for the get-together. The minister cited the recent rating by Standard and Poors. Despite having the highest ratio of debt to GDP, at nearly 55%, and the highest taxes on the continent, Quebec had its ratings improve for three reasons, the minister said. First we have strong control of spending. Second we have excellent professional management of our finance department, the best staff anywhere in North America. And third, the economy is doing very well, Leitao said. 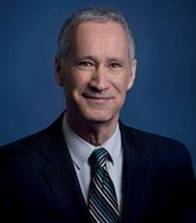 David Birnbaum, greeted the assembly as his friends, family and supporters, expressing appreciation for the confidence and trust placed in him. In his usual eloquent and soft-spoken style he welcomed the minister to the riding. Leitao described Birnbaum, the parliamentary secretary to the Minister of Education, as being tenacious in keeping the cabinet focused and on track. Cote Saint-Luc Mayor Mitchell Brownstein along with Councillors Ruth Kovac, Allan J. Levine, Mike Cohen and I were in attendance along with Liberal riding president Orna Hillberger, CSL Men’s Club President Syd Kronish, past president Sidney Margles, and several more community leaders and supporters. The mayor pressed the minister to act now on the Cavendish extension. This long anticipated project has become a top priority for council as all levels of government have come onside. Birnbaum assured us that he is listening to his constituency and that our voice is being heard in Quebec City. The constituency office is expertly managed by Chief of Staff Elisabeth Prass, Chris Savard and Fran Guttman. I’m counting the minutes until they count the last ballot. I’m frustrated and worn out from the longest 33 day (plus 18 months) campaign in memory. I’m exhausted from clenching the newspapers, yelling at the TV and wincing at the radio. I waved my fist back at PKP and cringed at Janette Bertrand. I got angrier each day with Marois’ venomous attacks on Anglos and religious folk and Ontario students domiciled in Quebec yet robbed of their right to vote. Mailloux spewed anti-semitic poison that would have led to demonstrations elsewhere in Canada, but here the Premier stood by her side and shook her head in agreement. Lisée contradicted Drainville who contradicted Marois who contradicted herself. I could barely keep score. Yes, Canadians would still be able to visit Quebec without a passport as our borders with the ROC would be open, Quebec would help set Canadian monetary policy… Forget unilateral declaration of independence. Marois just willed it by snapping her little fingers without a referendum or negotiation. Chutzpah! 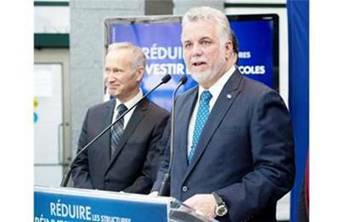 The Premier of all Quebecers showed us that nous didn’t include us. No need to debate in English. You, ain’t nous. (The only upside was that we didn’t have to see her face on telephone poles deep in D’Arcy McGee). But, Couillard gained the courage and determination to say to Quebecers what no liberal leader has said as long as I could remember (except when Charest was leader of the PCs in Ottawa, I’ll give him that). The English-speaking people of Quebec are full partners, our language does not diminish theirs and every parent in Quebec wants their kid to be bilingual, if not trilingual. And, oh this was a biggie, maybe, just maybe, he could settle old scores by working on Quebec’s place within Canada. Could we really be at the dawn of a new era? This may be the last big chance to fix what’s wrong in Quebec and in Canada. Our kids are more mobile than ever before. The bilingual ones can pick up and get a job well beyond Quebec’s borders. Not so for the one’s whose parents voted away their right to teach them English at a young age. If we can just get beyond the old and tired debates about language and independence and work to become more bilingual and more united with our fellow Canadians (who transfer billions of dollars to our cash-starved, economically depressed province, merci very much), maybe, just maybe, we can look ahead to a brighter, healthier, richer, happier tomorrow. Fingers crossed. I’m going to vote! David Birnbaum kicked off his campaign to succeed Lawrence Bergman as the Member of the National Assembly for D’Arcy McGee Tuesday evening at his local headquarters in the Cavendish Mall. A packed crowd of local officials filled the old SAQ store including CSL Mayor Anthony Housefather along with Councillors Mitchell Brownstein, Ruth Kovac, Sam Goldbloom and me, Hampstead Mayor Bill Steinberg along with Councillor Michael Goldwax, Mount Royal MNA Pierre Arcand, Nelligan MNA Geoff Kelley and former MNAs Clifford Lincoln, Robert Libman and Maximilian Pollack. Birnbaum said how humbled he was to have been picked by liberal leader Philippe Couillard for this seat and praised outgoing MNA Lawrence Bergman for his 20 years of service to the community, the riding and all of Quebec. I wish David the very best in this election and as our soon-to-be MNA. I look forward to working with him on behalf of our common constituents in creating a tolerant, inclusive Quebec where we can live as proud Canadians displaying our provincial and national flags, speak and work in both official languages without concern for language police and freely practice any religion without fear of losing ones job. The real issues we agree upon are building a strong economy, creating jobs and wealth, improving our healthcare system and strengthening our schools and universities. “I am very happy to welcome onto my team a man whom has given so much for so long to his community. His background leads me to believe that he will accomplish excellent work for the constituents of D’Arcy-McGee as their future Member of the National Assembly” – Philippe Couillard. Building Bridges: Following in the footsteps of Liberal stalwarts like Dr. Victor Goldbloom, Judge Herbert Marx and for the past 20 years, Lawrence Bergman, David Birnbaum is committed to being a strong voice for the residents of D’Arcy-McGee while building bridges of understanding across Quebec. The real issues! : D’Arcy-McGee residents are concerned about the future. They are proud Quebecers and Canadians, and they want a secure, prosperous and growing Quebec within Canada. That is David Birnbaum’s priority, too. With Philippe Couillard as Quebec’s next Premier, we will see an end to division and disunity, and begin a new start together. Experience: David Birnbaum has devoted his entire career to advocating for minorities, with a view towards mutual respect and tolerance. David Birnbaum will work for a strong and open Quebec within a united Canada. CÔTE-ST-LUC — Longtime Liberal MNA Lawrence Bergman made it official Friday that he will not run in next month’s election. Bergman, 73, has represented D’Arcy McGee since 1994 and was revenue minister in Premier Jean Charest’s government. At a press conference in his Cavendish Blvd. office, Bergman said he could not confirm whether David Birnbaum, executive director of the Quebec English School Boards Association, will be the riding’s next Liberal candidate, adding he knew no more than what he has read in the newspaper. “I’ll always be a Liberal,” Bergman said, adding that he has full confidence Liberal leader Philippe Couillard will lead the party to a majority by focusing on the economy and health care in the campaign. Tearing up as he reminisced about his 20-year political career, Bergman, who has two sons and four grandchildren, said he wants to focus on family and his partner after not having taken a holiday in two decades. He boasted of achievements including the building of a new wing of the Jewish General Hospital — emphasizing that 77 per cent of patients are non-Jews — and construction of the Shriners’ hospital on the site of the McGill University Health Centre. Another senior Liberal — Verdun’s Henri-François Gautrin — has also retired, while Vaudreuil Liberal MNA Yvon Marcoux, 72, announced he would not be seeking re-election. He was the MNA there for 16 years. Bergman was chair of the Liberal Party caucus and a major fundraiser in the Jewish community who won by a 20,000-vote majority in the last campaign.